I love macro photography as it enables us to see the beauty in small things. For this particular project, I wanted to show details (including textures) of a mundane object; an old rusty screw on a piece of wood (an old cutting board). In addition, I wanted to illustrate how the focus shifts on an object with an odd shape like this across the frame using video animation of the individual still images. The final video was based on 89 different/individual still images. The video shows how the focus plan “moves” across the subject to capture different points of sharp focus along the way. Those images were combined (“focus stacked”) into a single image to create a front to back sharp image of this small (and heavily corroded part of a) screw on an old wood board. Here we’re going to break down the creation of the video sequence and image. The behind-the-scenes photo below is not of the actual shoot but from a similar project (a micro-SD card). The key elements of the set up are very similar: camera on a mono-stand (tripod works as well of course! ); use of motorized macro rail; strobe lighting (key light is backlighting, about 45 degrees from the upper left of the image frame) and fill light from about 45 degrees right of camera; macro-rail movement and camera shutter actuations controlled via mobile app (Bluetooth); shooting tethered to a MacBook Pro laptop using Capture One 11; subject on stable shooting table with a C stand (wood plate screwed on baby plate). I used a Nikon D810 DSLR and Nikkor 50mm 1.8 lens with Kenko extension tubes. The lens choice is somewhat unusual for me as I typically use a 105mm Nikkor 2.8 Macro lens for much of my product and macro work (as I did in the BTS shot above). For the screw shots, the camera was set up on a tripod and angled about 45 degrees down. The screw was placed on a used wood cutting board to add additional “background” interest and texture. The camera was connected via USB-connection to a MacBook Pro. I used 2 strobes: My key light was a Profoto D1 500W to backlight the screw from about 45 degrees (above left of the subject). To create a relatively harder and directional light, I used a reflector with a grid that brought out more of the texture of surface and screw. I used a Profoto D1 250W with a softbox to fill some of the shadows created from the key light. The example BTS shot shows a modification of this setup for a different product with a softbox with only the inner diffuser as key light and snoot with small grid modifier for fill. Flash was controlled from a Profoto Air remote in manual mode. I used the WeMacro Rail. The WeMacro Rail controller device was connected to the camera via the 10-pin remote camera plug. The WeMacro device communicated via Bluetooth to an iOs WeMacro smart application that controls the stepper motor as well as the camera’s shutter. What’s nice about this particular rail is that it comes with a mobile app that allows programming of camera movements in exquisite detail via its stepper motor. It also controls the camera’s shutter, so once set up, I press the RUN button and grab a cup of coffee while the WeMacro system does the rest. I use Capture One 11 for shooting tethered (Mac Book Pro). The larger screen of the laptop is very useful for detailed evaluation and fine-tuning of acquired image focus, exposure and framing before collecting all images for focus stacking. The WeMacro app enables programming the number of exposures to take, and how far the rail with camera travels (from micrometers to mm) from start to end. It even has a feature where it pauses for a determined amount of time after each motor movement (thus minimizing any camera shake). I tended to err on the high side with regards to number of images: this seems to minimize any issues in post with the focus stacking software. For this particular project, I also really wanted to have the depth of field very shallow in order to efficiently animate the sequence (see settings below). Manual mode, ISO 64, 1/250 seconds, f-stop at 2, RAW. If correct white balance and overall color balance is important, I recommend using a grey card and a color checker such as the X-Rite ColorChecker, but didn’t use it for this shoot. As mentioned above, F2 is unusually wide open for macro shots, and was done in order to create more images that can be animated to visualize the moving focus plane across the frame. I captured two exposures per step, as strobe (or speedlight) misfires can happen, and could potentially ruin the focus stacking process. The biggest issue with this type of setup is usually to fine-tune the lighting to get the best resolution and contrast. And then also to fine-tune the settings on the WeMacro app to create a program sequence that works and can be successfully focus-stacked. While overall I love using the WeMacro and it is a very affordable and well-built option, one of the things to watch out for is to not have to travel the rail to either extreme end as this will require a hard reset (i.e. power cycling of the WeMacro device and also restarting the app), at least in my experience. Other than this, this system works really really well and flawless. I exported the image sequence (unedited, consecutively numbered as .tif files) from Capture One onto a folder on my computer. Then I imported the files into Helicon Focus. I typically just do trial and error and see which of the various rendering methods gives me the least artifacts. In this case, Method C worked best. Helicon also allows editing many of the artifacts, which I tend to like as the final image is repaired with original multiple captures and not via cloning on a single plane. IMAGE: one of the 89 images. For this particular project, I noticed that Method B gave me a substantial amount of edge artifacts (see image), whereas Method C worked much better. After some final clean up of any of the pixels using PS tools, I added a simple Curves and Levels layer and converted the image to Black & White (also via Layer). I exported jpeg files from Capture One and imported them as an image sequence into Adobe Photoshop and used the same adjustment layer settings on them to be animated image sequence as I used on the still image. As always, there are many ways to do this in PS, including using LUTs (look up tables). The initial animation was okay, but I felt that it was too choppy, so I duplicated each image in the sequence and then exported it as a gif as well as an mp4 format. I believe a stop-motion animation like this one could also be more effectively animated in Adobe AfterEffects, something for me to try in the future. Here are some other examples of animated macro photography. 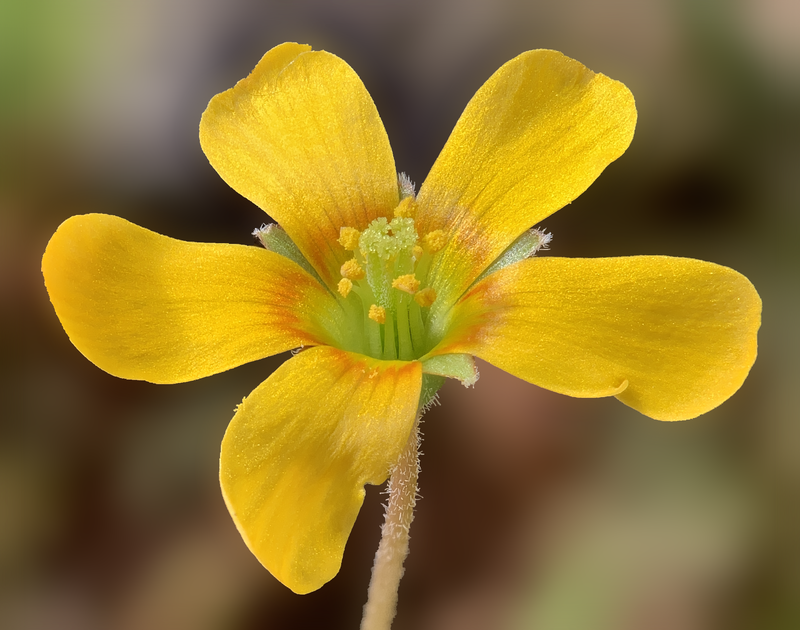 Helicon Focus is great software, and very useful for macro photographers or anybody who wants to do efficient, high quality and reliable focus stacking. It is very fast, and aside from the various rendering methods, I personally like their image retouching feature as it can minimize any cloning and other pixel work in PS, which can get “messy” (I recommend to do this via frequency separation processes). For simpler stacks, you could also use Adobe Photoshop for focus stacking, but in my experience, it is not as good, and not as fast as Helicon Focus, with the former being the bigger issue. A potentially easier way to accomplish a similar project would be to use continuous lighting as opposed to strobe lighting and simply record a video sequence of the camera moving through the plane of focus, ideally motorized by the rail! Basically a traditional video slider move, just using a macro rail. This is something I will probably try soon. While a motorized macro rail is efficient, precise and convenient, of course, one could alternatively use a mechanical rail. I often use a Kirk FR-2 Focusing Rail that is very good and very easy to work with. It can also serve as a great backup in case of software or hardware electrical malfunctions and it is easier to travel with. You could also use a mechanical follow focus system that is more typically used for cinematography for precise focusing. Or, you could just manually adjust focus via the focus ring, something I tend to do for simple focused stacked images requiring a few images (e.g. landscapes, or larger still lives). Give yourself enough room to crop and make sure things stay in the frame from beginning to end of a sequence. If you do focus stacking, I recommend running your image sequence through your focus stacking software before tearing down the set (at least to run it once to make sure it can successfully create a stacked image). In particular to avoid major issues such as the software is unable to create a stack which may require you to re-shoot, likely at smaller step intervals. Daniel Sigg is a commercial photographer based in Saint Paul, Minnesota. When he’s not in the studio, you can often find him out in the wilds making photographs of the natural world. You can see more of Daniel’s work on his website, and on Instagram. Remind me agian. Why not use f/8 or something like that and get the whole screw in focus in one shot. This looks like using a sledge hammer to kill a flea. I can get close to that using an iPhone XR with attached Moment macro lens. This flower is slightly less than one cm in diameter.